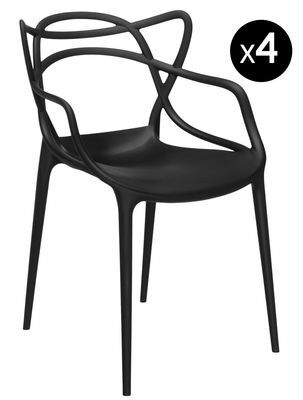 Re-arrange your eating area with this set of 4 stylish but affordable Masters chairs! 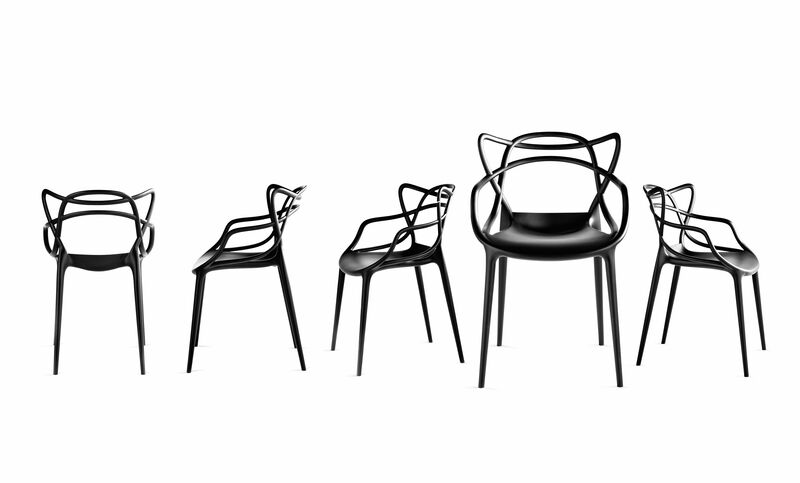 A new master stroke by Philipp Starck! 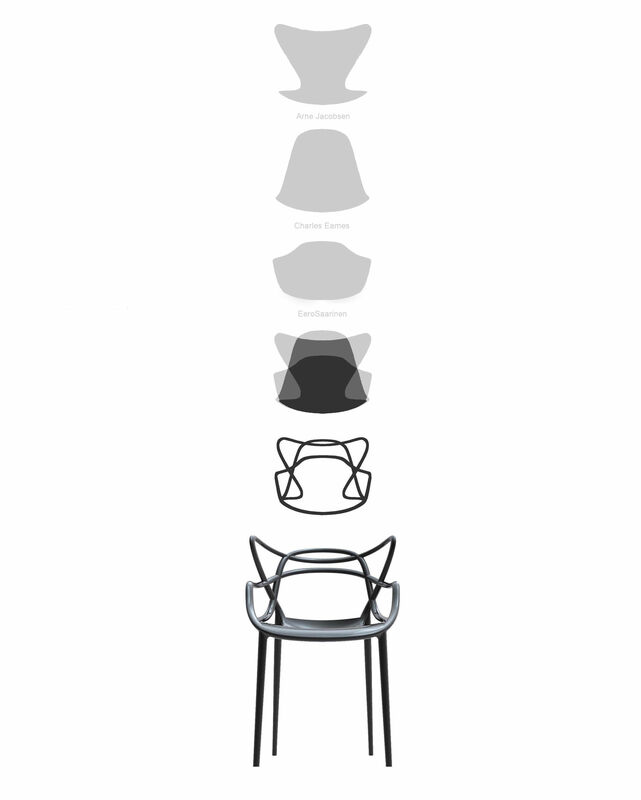 This futuristic-looking chair pays tribute to the icons of the past. 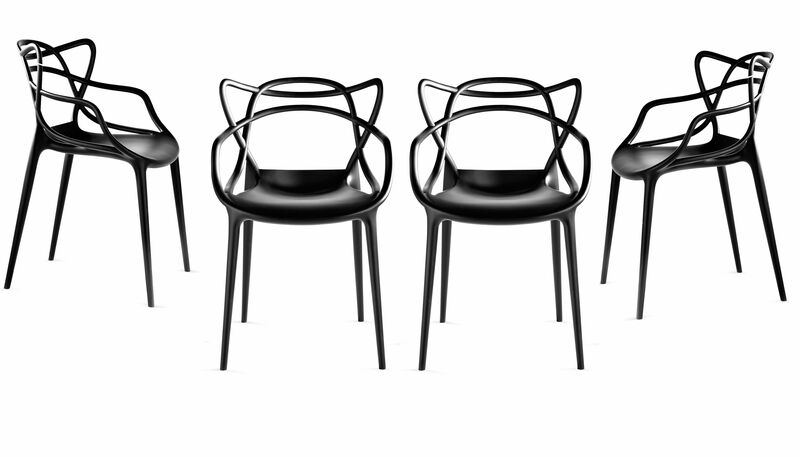 The plaited sinuous and dynamic lines in the backrest remind us of three classics of contemporary design, namely the Tulip Armchair by Eero Saarinen, Eiffel Chair by Charles Eames and Series 7 by Arne Jacobsen… This attractive, hybrid fusion of styles is characterized by playing with empty and full spaces. The original seat made of polypropylene is large and comfortable. Masters is a stackable, useful armchair that we love not only for its design, but also for its affordable price! It is on its way to become one of the classics, too! Price stated above is for a set of 4 chairs.